Paris Saint-Germain have announced the world-record signing of Brazil international superstar Neymar. FC Barcelona confirmed payment for the 25-year-old’s €222m (£200m) buy-out clause had been received on Thursday, before the forward put pen to paper on a five-year deal with his new club. 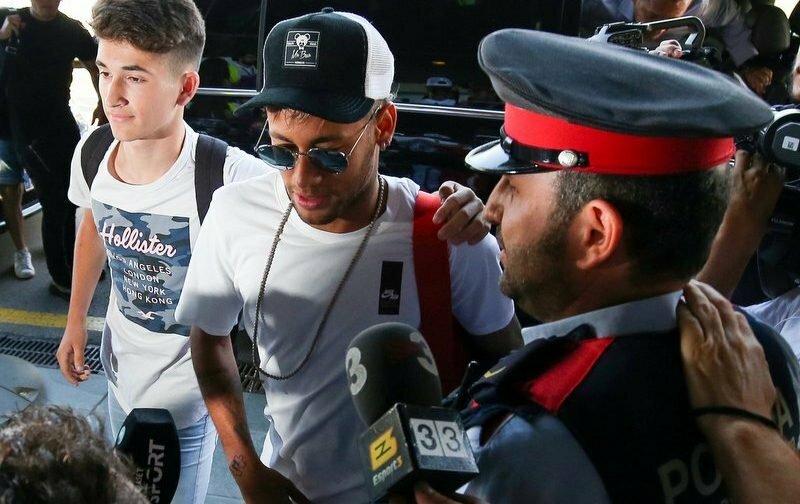 Neymar will face the media later today (Friday) and be formally presented as a PSG player when they kick start their 2017-18 Ligue 1 campaign at home to Amiens on Saturday. He told the club’s official website, “I am extremely happy to join Paris Saint-Germain. “Since I arrived in Europe, the club has always been one of the most competitive and most ambitious. And the biggest challenge, what most motivated me to join my new teammates is to help the club to conquer the titles that their fans want. “Paris Saint-Germain’s ambition attracted me to the club, along with the passion and the energy this brings. I played 4 seasons in Europe and I feel ready to take the challenge. According to Sky Sports, the Brazilian star will earn £26.8m-a-year (€30m) after tax, which is around £515,000-a-week. Neymar joined Barcelona back in June 2013 from Santos, where he went onto score a remarkable 105 goals in 186 appearances in all competitions, winning two La Liga titles, the UEFA Champions League, three Copa del Reys, the FIFA Club World Cup and the Supercopa de Espana. His staggering £200m transfer shatters the previous world-record fee, which was held by Manchester United’s Paul Pogba, following his £89m return to Old Trafford last summer from Juventus.